Not everything can be controlled on a Royal Visit and the biggest of the uncontrollable factors would be the weather. 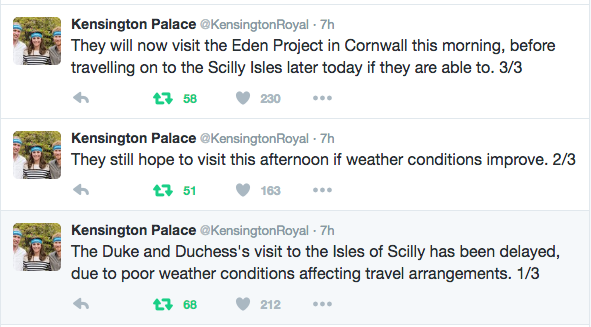 Today, Mother Nature saw fit to alter the Royal Itinerary. So, after a bit more waiting the day got started with a visit to Eden Project. The media did the best they could to provide coverage for the swiftly made new arrangements, but it was a challenge. 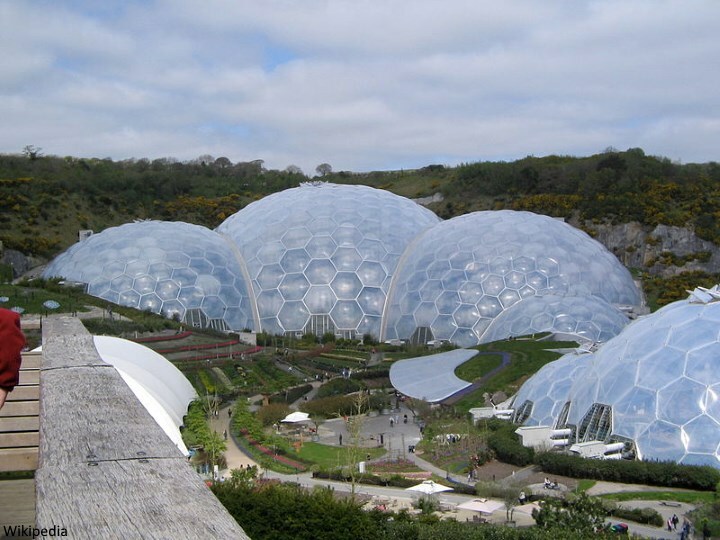 The biomes consist of hundreds of hexagonal and pentagonal, inflated, plastic cells supported by steel frames. The largest of the two biomes simulates a rainforest environment and the second, a Mediterranean environment. 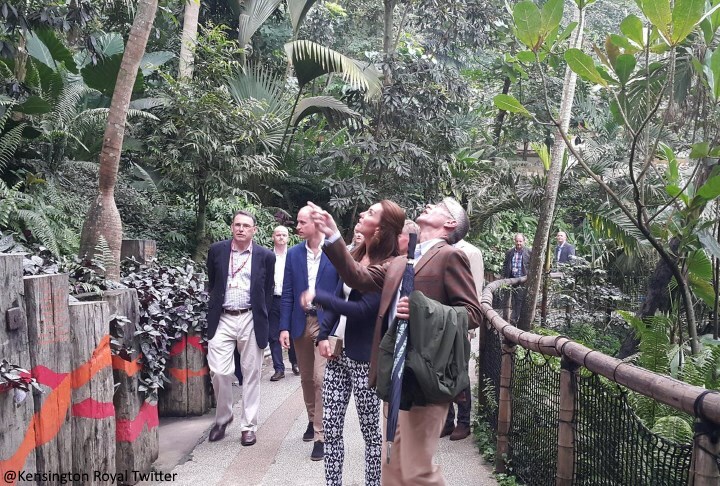 The attraction also has an outside botanical garden which is home to many plants and wildlife native to Cornwall and the UK in general. 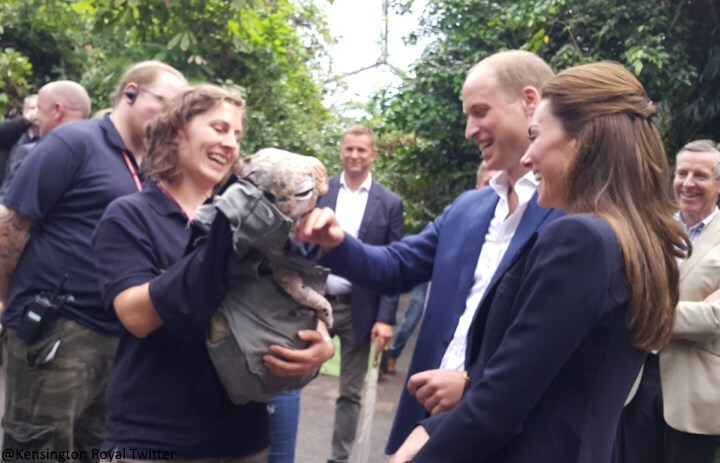 Interestingly, the name Eden Project stems from the 1994 TV Series Earth 2.
and met one of the baby dinosaurs from the ‘Dinosaur Uprising’ program. It gave the Duchess the giggles. 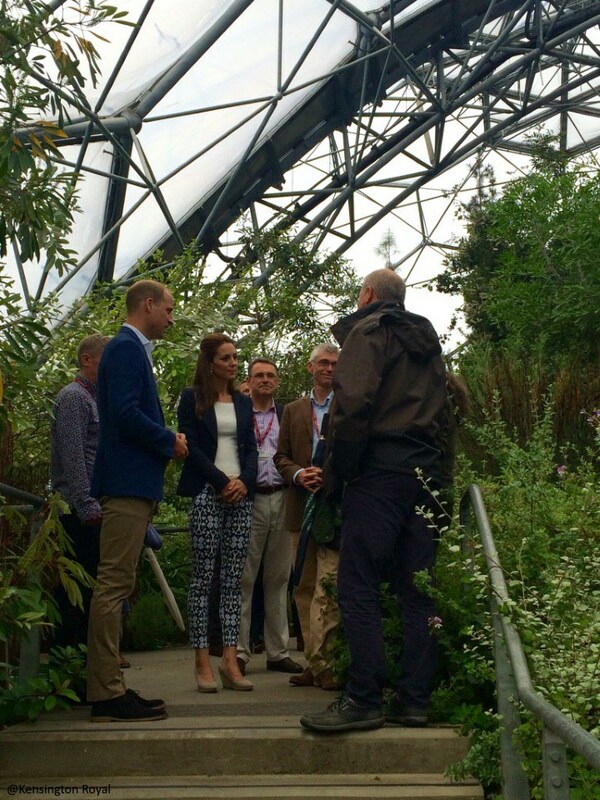 Then they toured the Mediterranean Biome, which has plans from Mediterranean climates around the world. 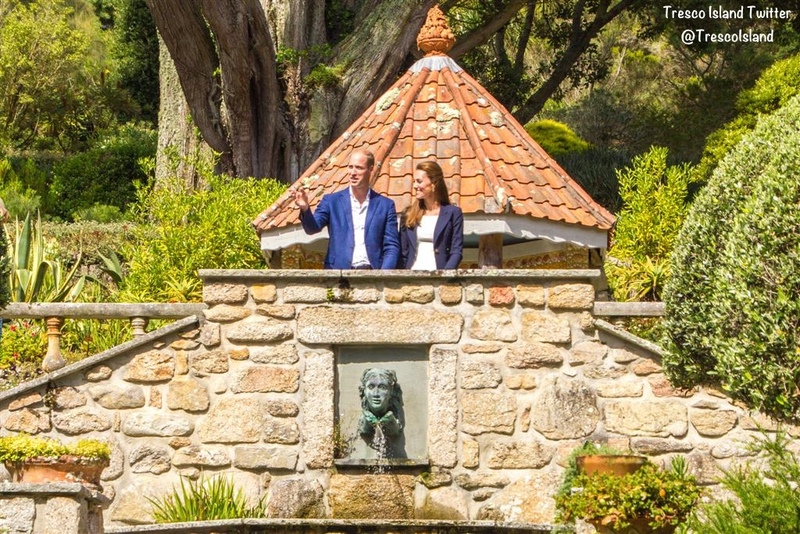 Fortunately the weather cleared up enough that Kate and William could visit two of the three Scilly Islands as planned. Below you see them at the renowned Tresco Abbey Gardens.